Staff Selection Commission has declared answer key of Junior Engg 2017 exam. Staff Selection Commission has declared Answer Key of Junior Engineer 2017 Exam. 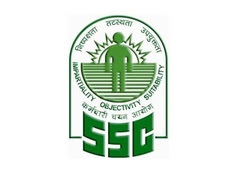 The candidate who appeared in the examination can check their Answer Key from the official website of SSC or a direct link given in this article. SSC conducted JE(Civil, Mechanical, Electrical and Quantity Surveying & Contract) Exam from January 22 to 29, 2018. Representation in respect of the tentative answer keys, if any, may be submitted online from 13.02.2018 (5.00 PM) to 19.02.2018 (5.00 PM) on payment of Rs. 100/- per question/answer challenged. Representations received after 5.00 PM on 19.02.2018 will not be entertained under any circumstances.